1: What is the Atacama Crossing (Chile)? 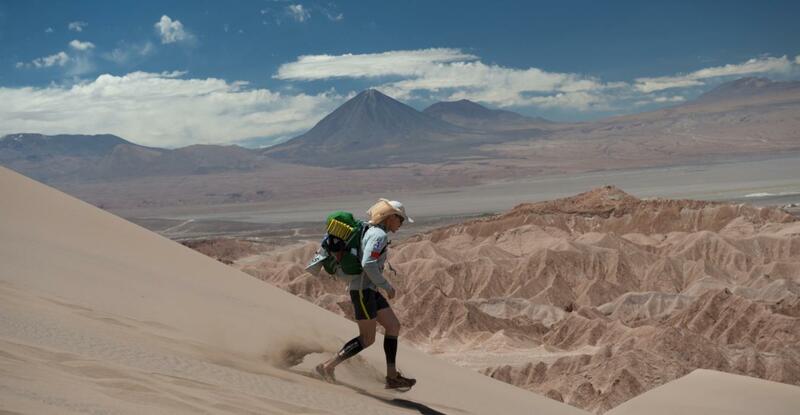 2: Is the Atacama Crossing an ultramarathon, adventure race, expedition race or other extreme race? 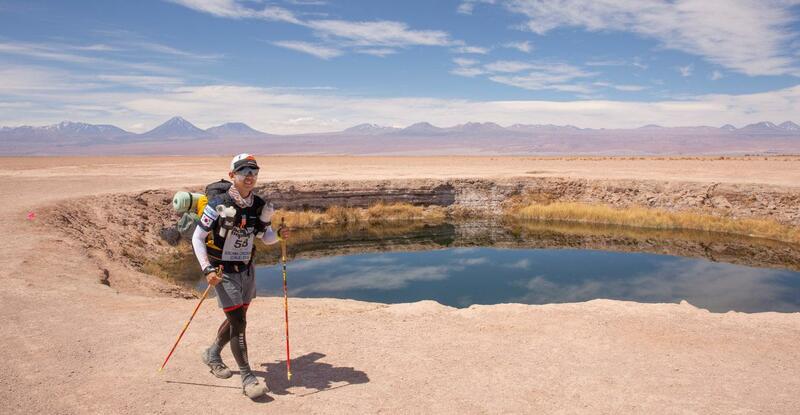 The Atacama Crossing is part of the 4 Deserts Race Series. We like to think of the 4 Deserts as its own unique category or genre. The events do not fit into the classic definitions of ultramarathon, adventure race or expedition race. Instead, we call the 4 Deserts self-supported rough country footraces. 3: What is the format of the Atacama Crossing? During the 250-kilometer / 150-mile event, competitors must carry their own personal gear, food and clothing in a backpack. The only assistance provided to them is water (plenty) for drinking and making food, tents to sleep in at night, and medical and management support. 4: Why was this location chosen for the Atacama Crossing? Deserts are separated into four categories: subtropical, cool coastal, cold winter and polar. The 4 Deserts are located in the largest desert of each category, also representing the driest, hottest, coldest and windiest places on Earth. The Atacama Crossing takes place in the Atacama Desert which is the largest cool coastal desert in the world and represents the driest desert of the 4 Deserts series. The course has been set up to pass through one of the most beautiful, pristine and untouched land on Earth. You may complete the Atacama Crossing (Chile), Gobi March (China) and Sahara Race (Namibia) at any time. There is no specific order in which you must do the events, and you do not have to complete all three. However, if you are interested in competing in The Last Desert (Antarctica), then you must have successfully completed at least two of the other 4 Deserts in order to qualify. 6: What is required in order to take part in the Atacama Crossing? 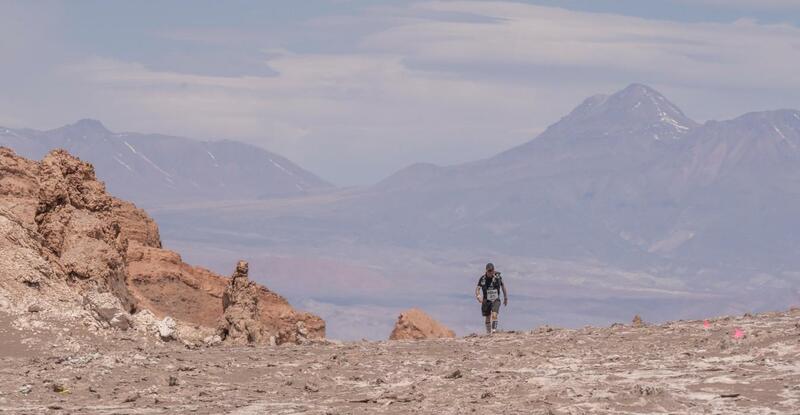 There is no qualification required to take part in the Atacama Crossing, but competitors must be healthy and maintain a certain level of fitness. All competitors are required to submit a medical form with information on fitness level, a form with emergency contact details and a stamped doctor's certificate two months before the event. 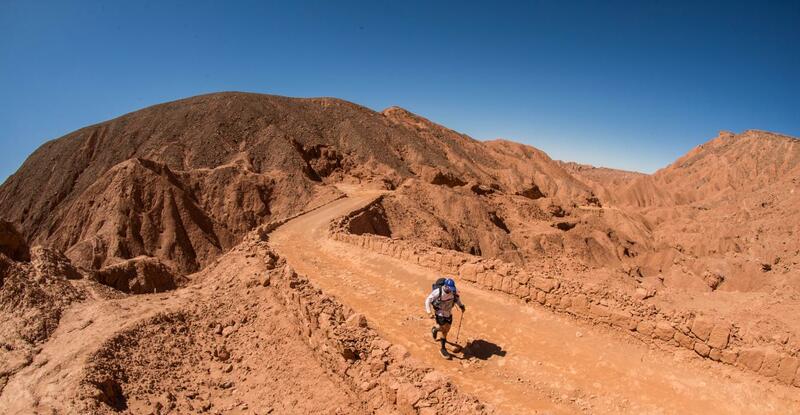 7: Who typically competes in the Atacama Crossing? 8: How much time do I need to do the Atacama Crossing? 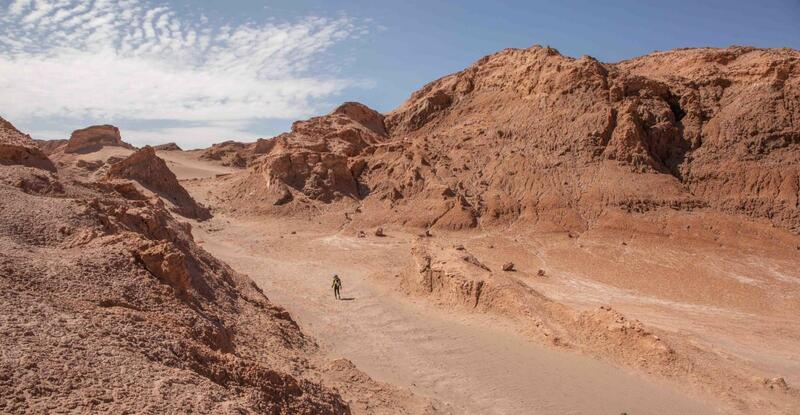 The Atacama Crossing consists of six stages that take place over seven days. Competitors typically arrive two days before the start of the event and are free to leave any time after the event concludes. Make sure, though, not to miss the fun part - the Awards Banquet! A full itinerary can be viewed on the Atacama Crossing website. The event is set up to allow for generous cut-off times. Approximately 20% of competitors will run most of the course, 60% combine running with walking, and 20% will walk the entire course. A competitor that can complete 40 kilometers / 25 miles in 8-10 hours should be able to meet the cut-off times. Our competitors are busy people - we don't expect them to train all the time, but a minimum amount of training is expected. Some competitors complete the event with minimal training; others want to win and spend many more hours training. Each competitor has his or her own goal. We simply want people to finish. Expert articles prepared by doctors, health and sports professionals on a variety of topics related to training, preparation and medical care. All of the articles are available on the RacingThePlanet Store website and in a special Competitor Area of the Atacama Crossing website. 4 Deserts events are very popular - some events sell out more than one year in advance. We recommend that prospective competitors complete an online registration as early as possible and at least six months before the start of the race. Places are confirmed upon receipt of the deposit payment. Once the event is full, new applications will be added to the waiting list. A fully qualified team of medical doctors from United States, many of whom have attended a number of 4 Deserts events over the years, works at each event. Most doctors are emergency physicians with affiliations at Stanford University and other reputable medical schools. During the race, there is a medical doctor at each checkpoint to offer assistance and care on the course. There is also a medical tent located at every campsite where competitors can seek medical assistance or advice. Note that this is a self-supported race, so each competitor must bring the mandatory medical items listed in the equipment list. Competitors must carry ALL mandatory equipment items, including food and electrolytes, at all times during the event. An equipment list with mandatory gear requirements can be found on the equipment page of the Atacama Crossing website. The equipment list has also a section of optional and recommended gear items. At the end of each stage, competitors, volunteers and staff gather in incredible campsites managed by a local camp team. The desert campsites are typically located in spectacular places with clear views of the nighttime skies. Competitors sleep in tents of up to ten people. There are also camp fires in the mornings and evenings to boil water and cook food. We provide information on common flight routes and local contacts to help competitors make arrangements to get to Chile. We also provide information on staying additional nights at the hotel, airport transfers, domestic flights (as required) and other travel arrangements. 19: Can I volunteer at the Atacama Crossing? The 4 Deserts typically accepts 16-20 volunteers for the Atacama Crossing each year. Those interested in volunteering should complete a volunteer application as early as possible - we accept volunteers on a rolling basis and receive many more applications than we can accept. The volunteer team works hard during the event, but the job is fun and very rewarding - many volunteers return to 4 Deserts events year after year. 20: What else is special about the Atacama Crossing? Each event highlights an indigenous culture in the region with the hope of preserving the culturefor generations to come. At the Atacama Crossing, competitors experience the friendship and warmth of both the Chileans and the Atacamenos. Both groups have their own unique cultures. 21: What is the best part of the Atacama Crossing? 23: My absolute goal is to complete The Last Desert in Antarctica. Can I compete in this event first? No. The Last Desert (Antarctica) is only open to those who have completed at least two of the other 4 Deserts events, including the Atacama Crossing (Chile), Gobi March (China) and the Sahara Race (Namibia). 24: Any last words to describe the 4 Deserts?